Gustavo Márquez Sosa is an independent software engineering consultant specialized in “Software Testing” and “Requirements Engineering”. With experience in excess of 15 years in the IT area, he has worked with international, public and private organizations such as AENA (Spanish Airport Authority, Madrid - Spain), Air France (Paris, France), Escuela Técnica Superior de Ingenieros Industriales (Madrid - Spain), Telefónica Móviles (Madrid, Spain), Icon Medialab (Madrid, Spain), Visure Solutions (Madrid, Spain), Díaz & Hilterscheid (Berlin, Germany), Informatica El Corte Ingles SA (Madrid, Spain and Buenos Aires, Argentina), Métodos y Tecnología (MTP) (Spain and Mexico). He is member of the IEEE, the Spanish Software Testing Qualifications Board (SSTQB) and supporting member of the International Requirements Engineering Board (IREB). 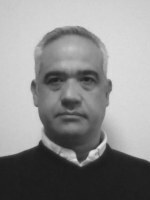 As member of the Spanish Software Testing Qualification Board he is the head of the Glossary translation workgroup for Spain, member of the “ISTQB glossary working party” and in charge of the coordination of the glossary for Spain and Latin America. As supporting member of IREB, he is responsible of the IREB syllabus translation to Spanish.